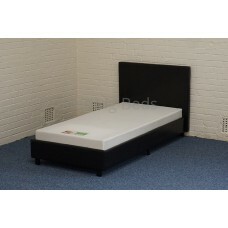 The contemporary Galaxy bed is upholstered in dark brown faux leather with vertical stitched panel d.. The ottoman side opening storage divan base has a gas lift mechanism which makes it extremely e.. 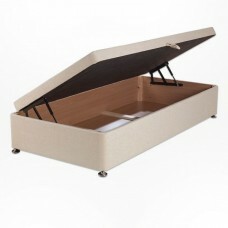 The ottoman end opening storage divan base has a gas lift mechanism which makes it extremely ea..